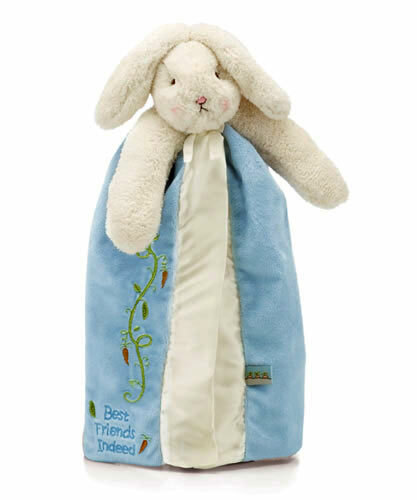 Plush bunny with soft blue velour blanket lined and edged in silky satin. Blanket is open in the back for easier snuggling. 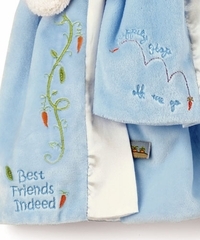 “Best Friends Indeed” embroidery. Machine wash & tumble dry low heat. Size: 16".